A quick and easy bottom rig to tie is the chicken rig. 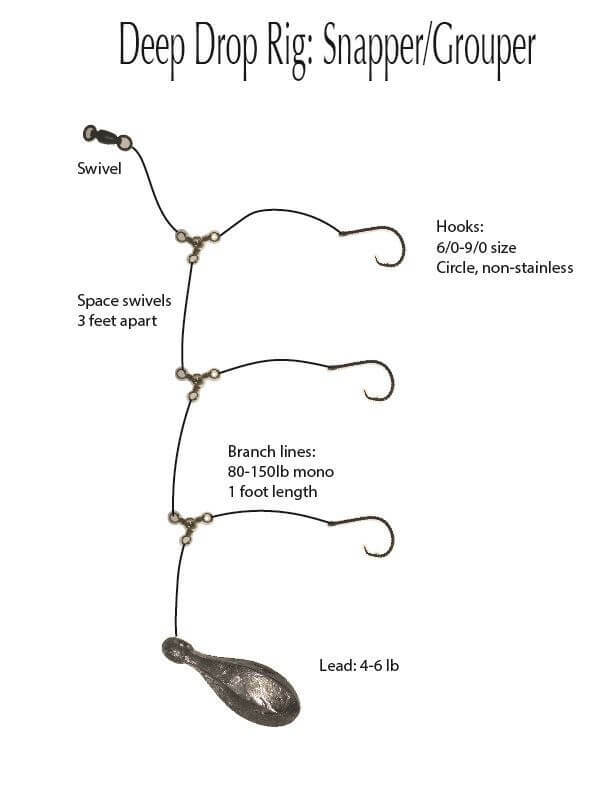 The rig itself consists of multiple hooks with your lead on the bottom. It presents your bait vertically in the water column, great for schooling fish suspended near the bottom. We often use them to target vermillion snapper and yellow eye snapper off Miami. My first introduction to chicken rigs was fishing for flounder off NJ. 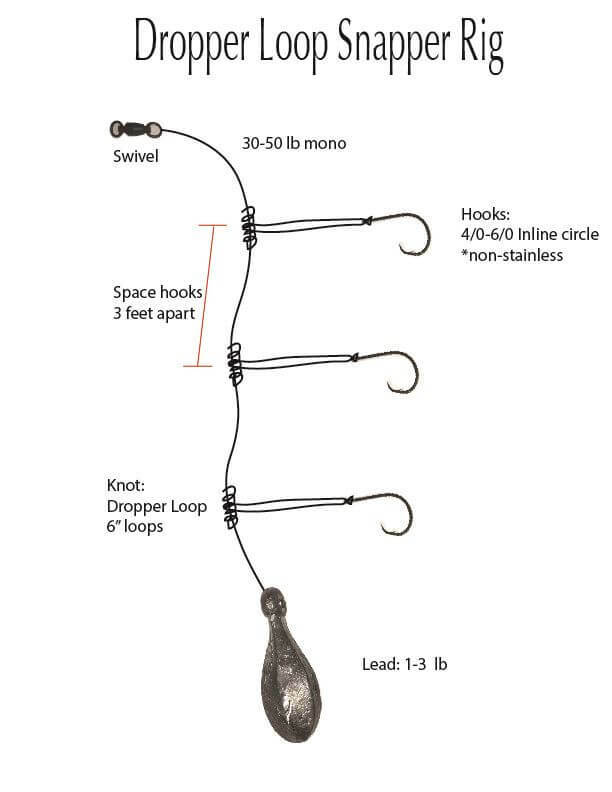 Off NJ we would tie primarily double hook rigs, spaced closer together and with longer loops. Chicken rigs work great for catching bait too, the Japanese sabiki rig is essential to anglers here in south Florida. Sabikis are essentially a miniature chicken rig. Check out Tackle Direct for all the essentials you need to assemble this rig. The rig itself can be used in numerous different applications and fisheries. 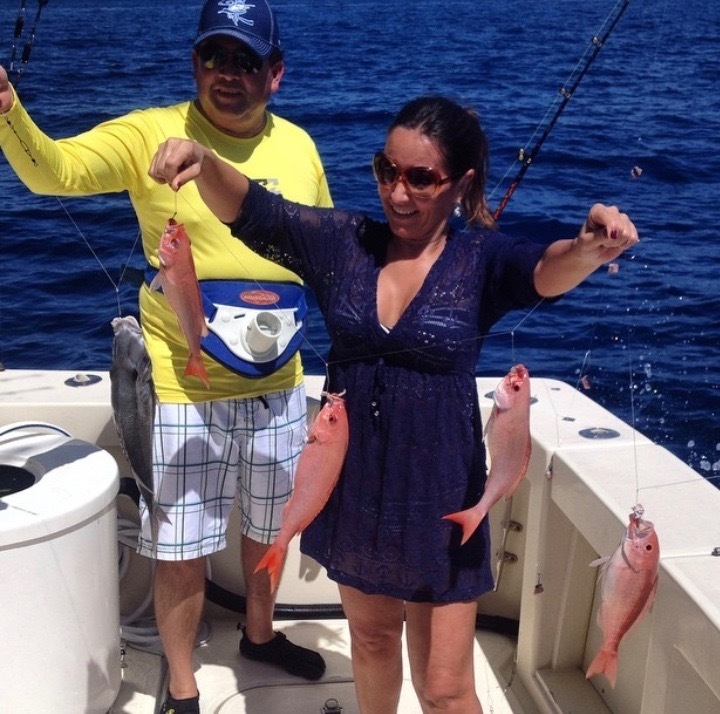 For snapper fishing off Miami try making your rigs from 30-50 lb mono or flouro. I prefer 4 or 5 hook rigs with the hooks spaced around 3 feet apart. Dropper loop knots are a great choice, anglers also use surgeon’s knots to tie their loops. It’s important to lubricate the dropper loop when cinching it. I like to tie 8 or more twists on my loops, leaving a loop around 6 inches long. To attach a hook, the simplest method is to insert the loop through the eye of the hook and then back around the hook. Another method is to clip one side of the loop near the base of the knot and tie the hook onto the longer tag end. Some anglers prefer this method, but I discourage it. Besides compromising the integrity of the rig, it’s more time consuming to tie hooks than it is to loop them on. For bait selection it’s best to use fresh cut bait like bonita or squid. It’s important to cut your bait in a strip shape rather than a cunk to prevent it from spinning and twisting up the line. At the ends of the rig you can tie perfection or surgeon’s loops, making the rig easy to attach to a snap swivel or lead. When targeting larger grouper or queen snapper, scale up your leader and hooks. 3 way swivels in place of dropper loop knots can help reduce line twist. When targeting bigger fish it is important to scale up hook size and leader size. The swivels also help maintain integrity of the mainline and branch line. This rig is excellent for a variety of species including queen snapper, snowy grouper, rosefish, red grouper, and more.